Do you often come home from work with excruciating lower back pain? Do you wake up with a stiff neck and instant headache? Is your posture less than perfect? Well, it’s time to start working on your spine health before your lifestyle and posture cause irreversible damage. So, let’s see what every man should do to improve his spine health. You probably already know this, but weight plays a huge role in your spine health. Being overweight and quickly gaining weight can cause lower back pain. Belly fat is the most dangerous, since it can put additional stress on the tendons, ligaments and muscles in your back. So, make sure to maintain a healthy number on the scale and your back will be grateful. Experts recommend daily back and neck stretches. Being flexible means you’ll have a normal joint function, the proper range of motion and minimal pain. Regular stretches also reduce the risk of injury, so make sure to start your day with some light twists, stretches and pulls. It will not only help your spine health, but also help you shake off the sleep. It’s really easy to do things the wrong way at the gym or do your stretches incorrectly without a professional overlooking your progress. Lifting is especially dangerous without any supervision, because you’re handling heavy weights and repeating the move over and over which can cause serious trauma. The fact that you have back pain every once in a while is nothing to be concerned about, but repeated pain requires a doctor’s visit. If you leave your injury untreated, your spine issues can develop all sorts of complications and become so serious that you might need surgery. Luckily, back surgeries aren’t as invasive as before, so if you already experience strong pain, you might want to consult Dr Timothy Steel and check out his website that will teach you more about the procedures and familiarize you with similar case studies. Surgery is scary, but with today’s technology and doctors’ expertise, you can have a very positive experience that will result in a pain-free life. Many conditions, from back stiffness to sciatica, can be alleviated with proper ergonomics. If you want to reduce the stress to both lower and upper back, make sure your desks, chairs, computer and even your car are set up properly. Choose a chair that can be height-regulated and provides lower back support. Keep your knees at 90 degrees while sitting and rest your feet on the floor. However, no matter how ergonomic your furniture is, you should still make regular breaks, get up and walk around your home or office. Sitting for prolonged periods of time causes your muscles to tighten and become immobile, so give them some action. Getting enough sleep is very important for your overall wellbeing, because your body requires sleep in order to repair itself and recharge with new energy. But, how you sleep can have a great effect on your back health. Experts point out that sleeping on your side is the best position for back health. If you have a supportive mattress and an ergonomic pillow, side sleeping will ensure a healthy spine position. Flip your mattress every once in a while to avoid dents and lumps that can cause you to twist your spine while you sleep. In order to maintain the elasticity and fluidity of your joints, make sure to stay properly hydrated. You need at least 8 big glasses of water every day no matter if you hit the gym or stay in bed until noon. Spinal disks between our vertebrae can lose water, shrink and lose height which can cause various very painful disc conditions. And, as this protective padding disappears, it decreases structural health of your spine. Maintaining good spine health is actually easier than you might think. 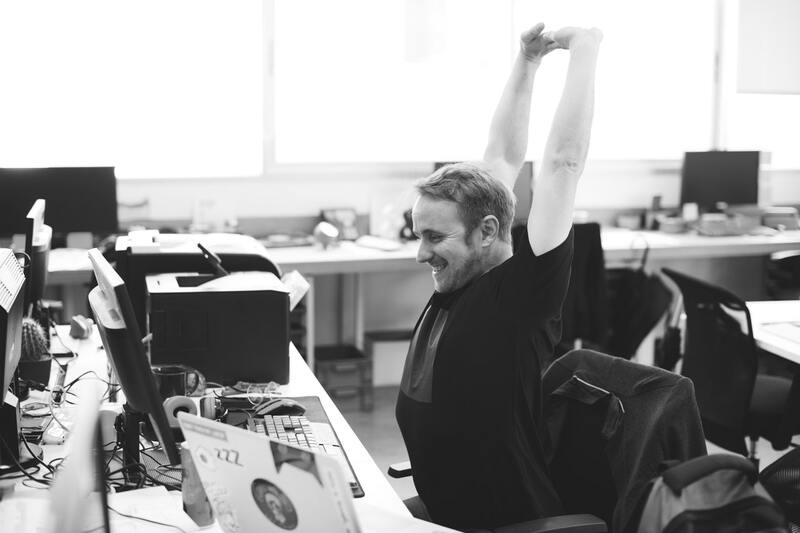 As long as you stay consistent, stretch and maintain good posture while working and sitting, you’ll notice immediate results. Your pain levels will decrease and your mobility increase. Plus, you’ll look much more attractive with good posture and straight back.